The headquarter of eaf gmbh in Goch (Germany) on the Lower Rhine is located 80 km from Düsseldorf (Germany). The convenient location far from major conurbations enables us to hold a stock of spare parts on large surfaces at an affordable price. The good traffic conditions ensure a fast transport of parts. 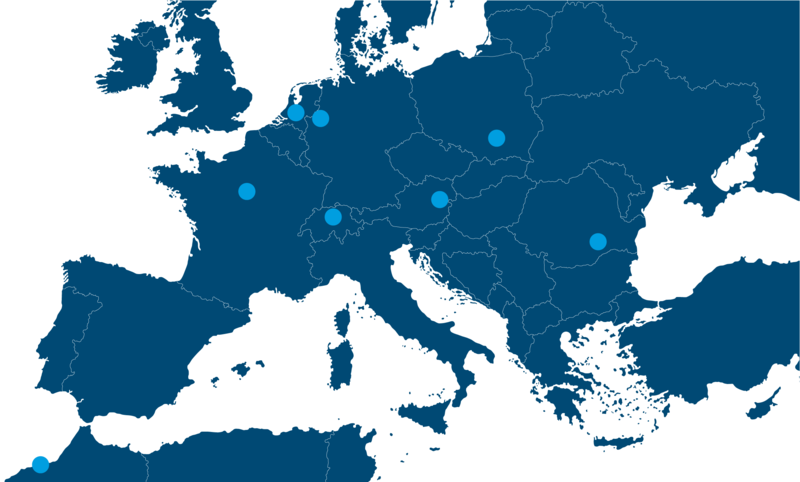 With subsidiaries in 8 countries, we deliver to 22 countries Europe-wide.